It was the time for back to back trips this month. 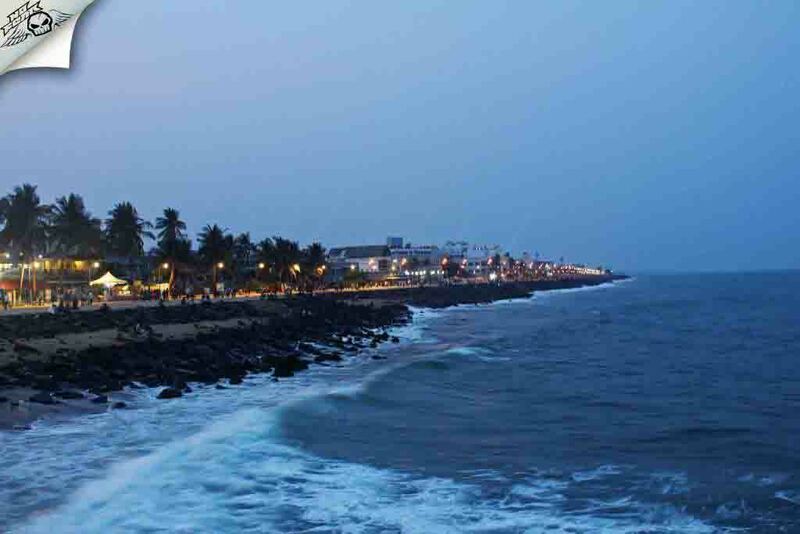 I received a call from RV friends who were planning a trip to Pondicherry. Having named Sagar (translates to the ocean :P) I never visited an ocean before. Our budget Seena wasn't in town so following his marks we booked a budget hotel and train. If you stay in Bangalore then the best way to reach Pondicherry is by the train. The train timings are synced for the perfect weekend getaway from Bangalore. I managed to get tickets confirmed from one of my friend who works in railway department. If you have planned at last moment then don't worry, its easier to get tickets in tatkal as well. Best of the beast: Matrimandir meditation centre, Auroville. Friday Night: After struggling through usual traffic I reached Yeshwanthpur at 8 pm, the train was scheduled for departure at 8:50 pm. All 6 of us boarded the train on time. We had dinner along with casual talks and dozed off to sleep. 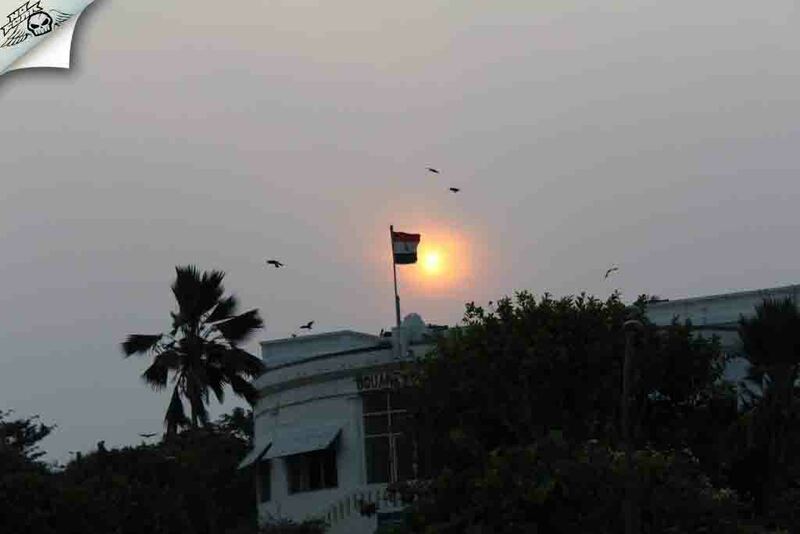 Saturday morning: Reached Pondicherry at 7.30 am. The stay we booked was around 5 km away from railway station, bargaining with Rickshaw drivers in a tourist city is difficult as they will charge a hefty amount for very short distance. 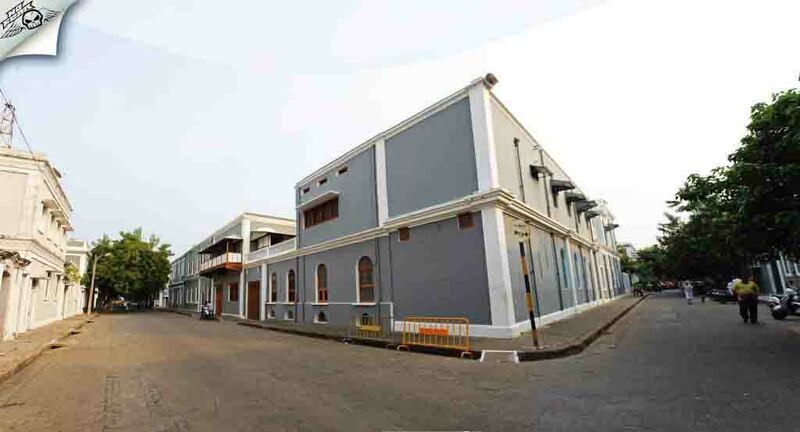 The best way to explore Pondicherry is on a 2 wheeler which you can easily rent. We had plans to rent one for ourselves after reaching the hotel. We hired an auto to reach the hotel. We checked into to the hotel Ungal Vasant Bhavan on ECR road which was a decent hotel, we opted for non-air-conditioned rooms to keep the budget low. 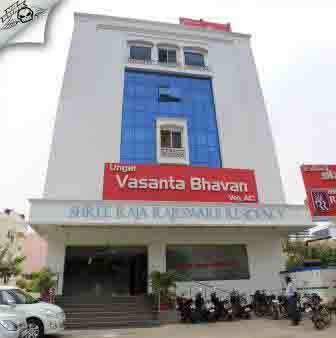 Ungal Vasant Bhavan, this is where we stayed. All set to explore Pondicherry. None of us had done research about the places to visit, so we just googled and made plans on the fly. The Auroville is the must visit place in Pondicherry hence it was the first destination for the day. It was 14 km away from the hotel. 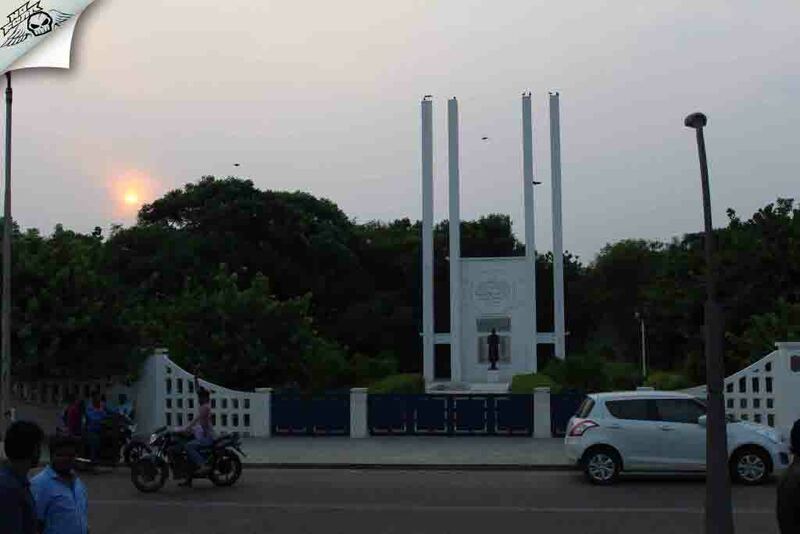 The road conditions in Pondicherry are very good and traffic free. Unlike Goa, the places are very close to each other in Pondicherry. So you don't have to spend a lot of time travelling from one destination to another. 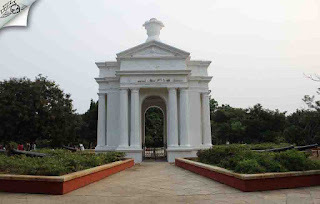 Exploring Pondicherry: We hoped onto the Honda Activa and started riding towards Auroville. There were many art and craft workshops on the way where we can buy. 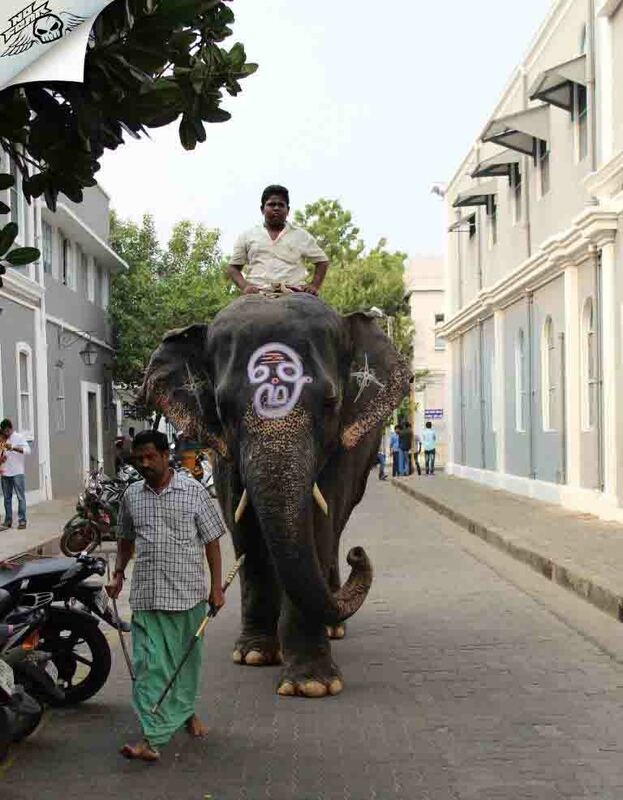 Even though I wanted to buy a souvenir from Pondy I skipped assuming there must some other market (and... I was wrong). 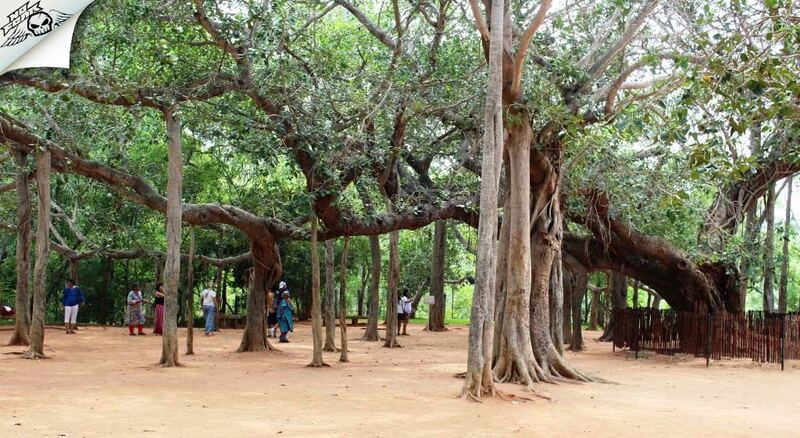 Quick tip: The shops on the way to Auroville is economical and a recommended spot for shopping. 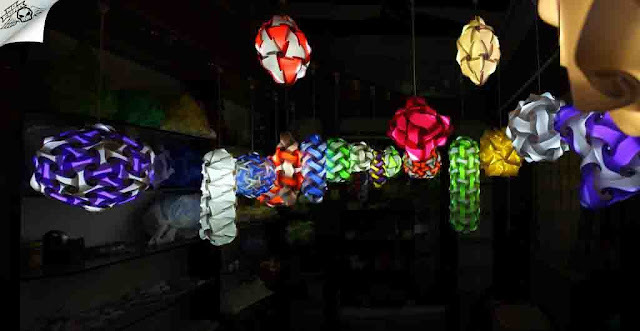 The prices are comparatively cheaper than the Pondicherry market. 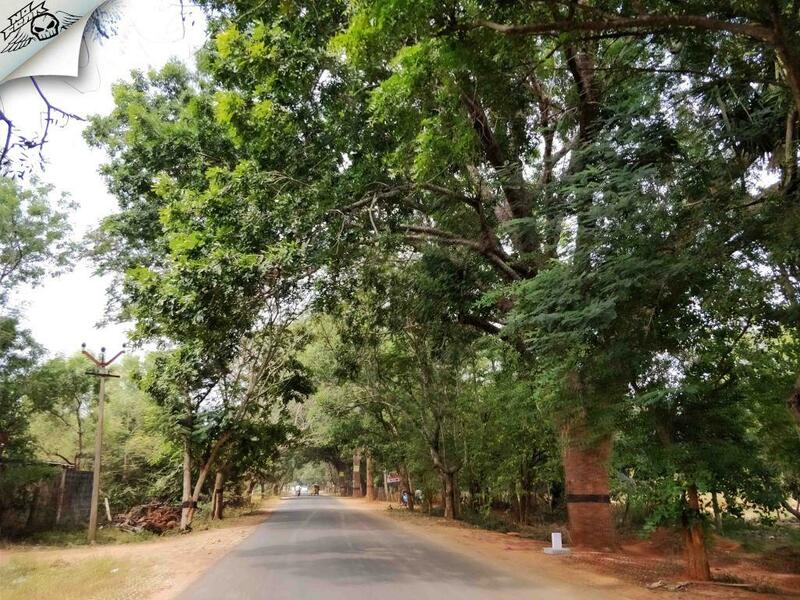 On the way to Auroville. Beautiful countryside road enclosed by trees. Matrimandir - Auroville: As soon as we reached Auroville I could see a lot of people from young generation to old generation from different parts of the world. I personally had no idea about the importance of this place. Just like any other traveller we started walking towards the main office, clicking pictures. 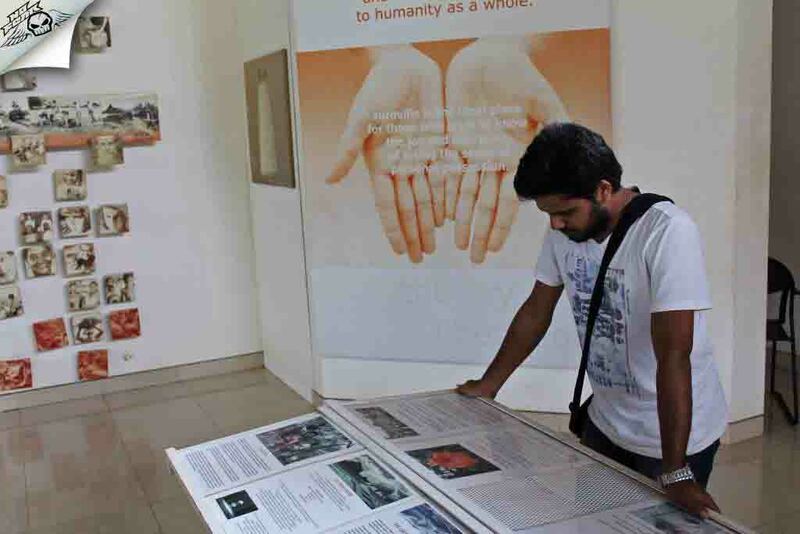 Details about Matrimandir is provided at the information centre. There is also a model displayed depicting the architecture of the golden globe which is the main attraction at this place. It is very important to understand that Matrimandir is not a tourist destination but a platform to rejuvenate the spirit within yourself. There are strict rules and regulations to enter the Matrimandir, follow the below details where I tried to explain as simple as possible. Auroville visitors centre. 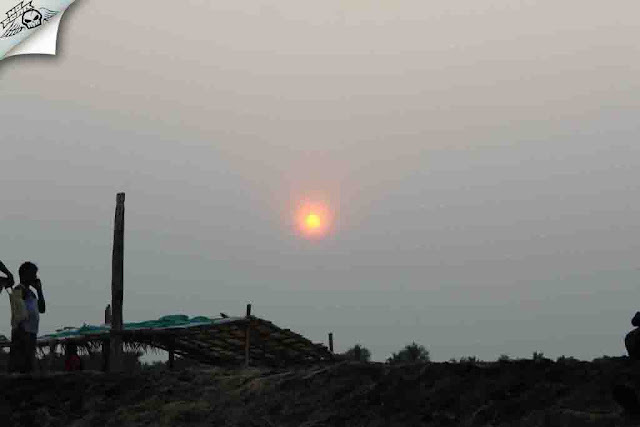 You will get passes for Matrimandir viewpoint at Matrimandir meditation center. A lot of information about Auroville concept is displayed here. worth spending time reading about it. 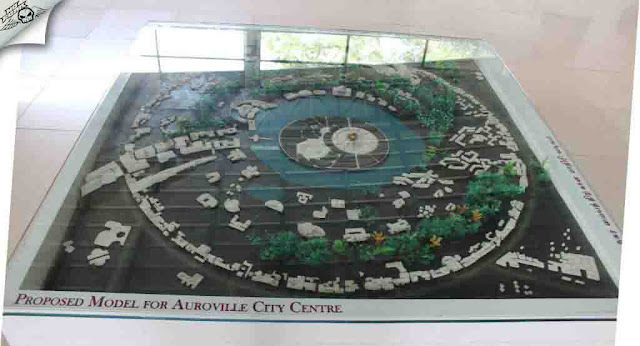 Proposed model of Auroville city centre. 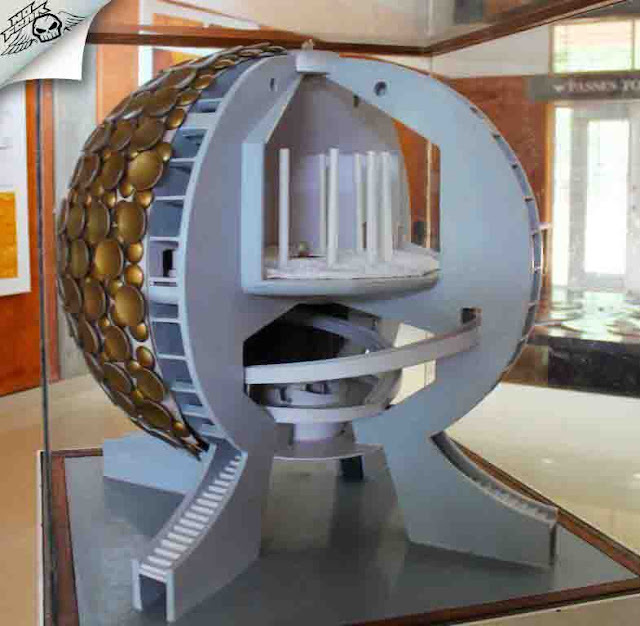 Model displaying interiors of Matrimandir. There are two points I will be presenting here. a. 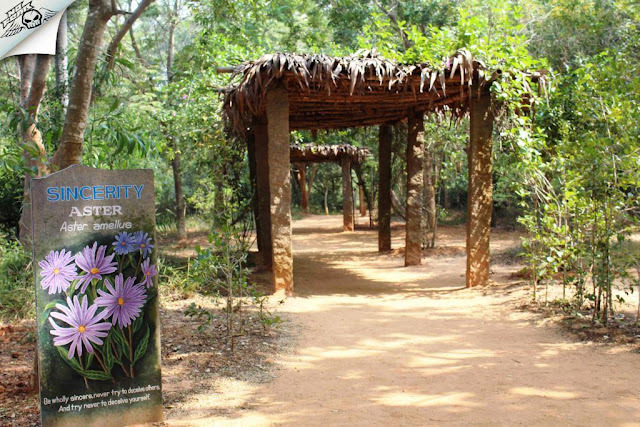 Passes can be obtained free of cost at Auroville's visitor centre after watching a short introductory video. You can find the complete details about the steps to enter Matrimandir in Auroville's official website. Make sure you read it thoroughly if planning to enter the Matrimandir meditation center. We had no plans to visit the meditation center as the timings were not in aligned with our plans. We decided to just visit the Matrimandir view point and head back. We took the free passes and started walking towards the view point. Matrimandir Viewpoint: A shaded 10-12 minute walk led us to the Matrimandir view point from Visitor's center. The view point is known as south of Park of unity. 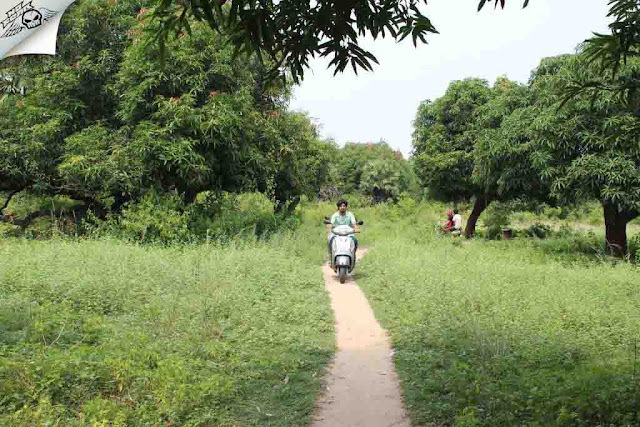 Its a raised garden which offers a beautiful view of the Matrimandir and its surroundings. The Matrimandir is a gigantic golden globe structure which is one of its own kind. The place is beautiful, clean and well maintained. We spent some time there taking photos and enjoying the view. Place is very well maintained. 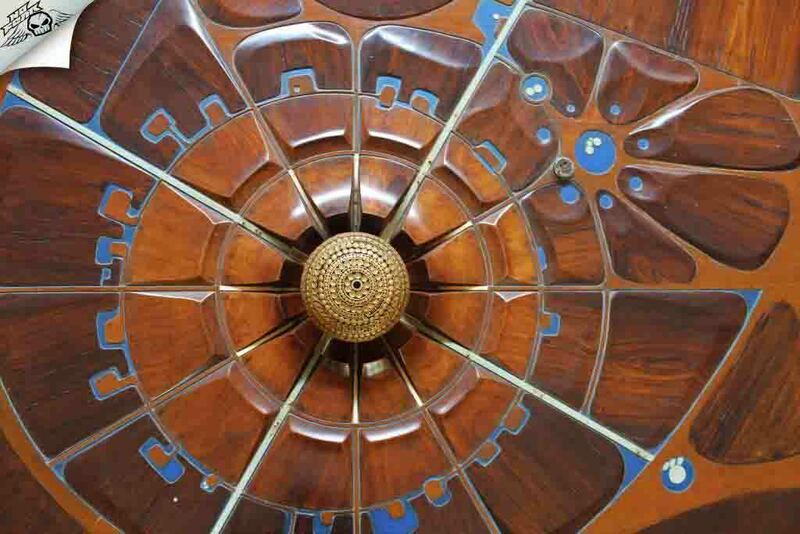 View of the golden globe, matrimandir meditation center. After spending some time we decided to leave. It was 2 in the afternoon and we were feeling hungry. There are few fast foods near the information center but we decided to try restaurants on the way back. We saw a vegan restaurant on the way, Shashank insisted to try. Most of us never have any idea on vegan food, vegan foods are mostly organic, they don't use onions, spices and masala. Vegan foods are extremely healthy but do not please the taste buds (most of the times). Trying Vegan food for first time: The place was a chilled out traditional Indian style cafe. A young man with long hair approached us to take the order. We were clueless about what dishes to order. He explained the way dishes are prepared in the vegan style and helped us choose the dishes. After waiting for quite long time two dishes arrived which were delicious and good. We appreciated the way the vegan food tasted so good yet so tasty. Then arrived our next order Sushi. We had no idea about how Sushi tastes. Rudra took the first bite and spit it immediately. We all felt nauseous after tasting it. On a brighter note we 're happy to try vegan food but on the other side we decided never to try vegan again. (No offence intended to the vegans). Even though our tummy was half filled we didn't order anything but decided to have something at other place. We stopped over at corner house to had ice cream. It was 3 o'clock in the afternoon, I badly wanted to jump into the water. We checked maps and found that there are four major beaches in Pondicherry - Promenade beach, Paradise beach, Auroville beach and Serenity beach. We decided to visit the closest one first - Serenity beach. 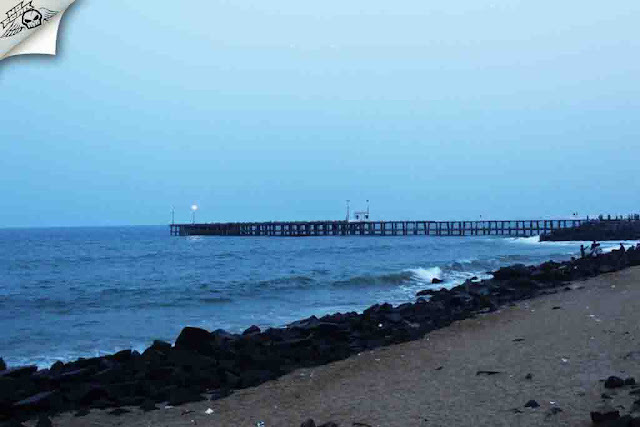 Serenity beach: As the name suggests this is largely perceived to be one of the most beautiful beaches in Pondicherry. Its pristine golden sands, playing hide and seek with the shimmering waters of the Bay of Bengal. It's secluded and quiet ambiance is unbeatable. 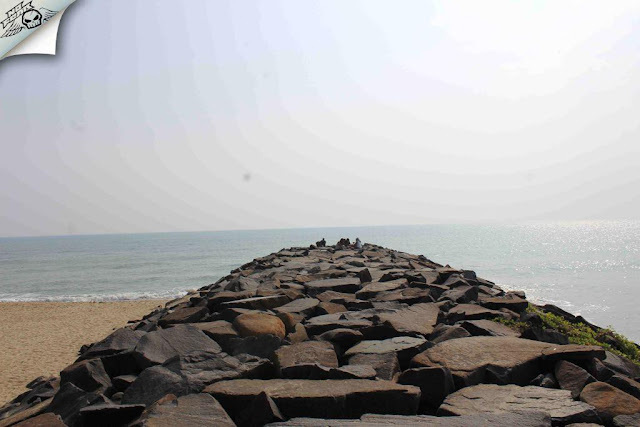 There are two huge lane of rocks which protrudes into the sea. You can also witness a large number of fishing boats and some greenery in the form of creepers as you explore the beach. This virgin shoreline, with its peaceful surroundings is a perfect spot for sunset. Though the beach is beautiful, it is not suitable for swimming as the beach is too steep and deep. 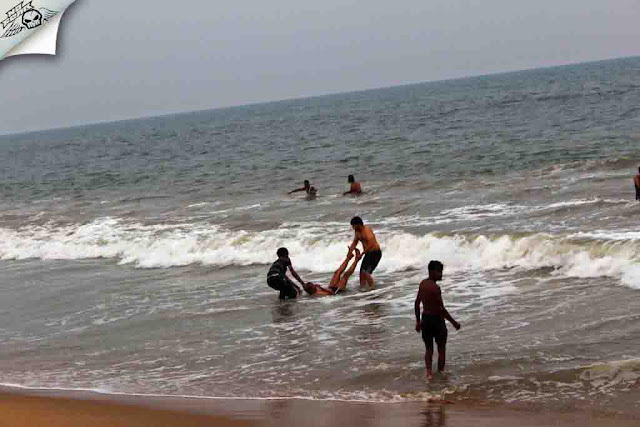 We enjoyed the view of the great bay of Bengal and moved on to the next beach - Auroville beach which is adjacent to it. 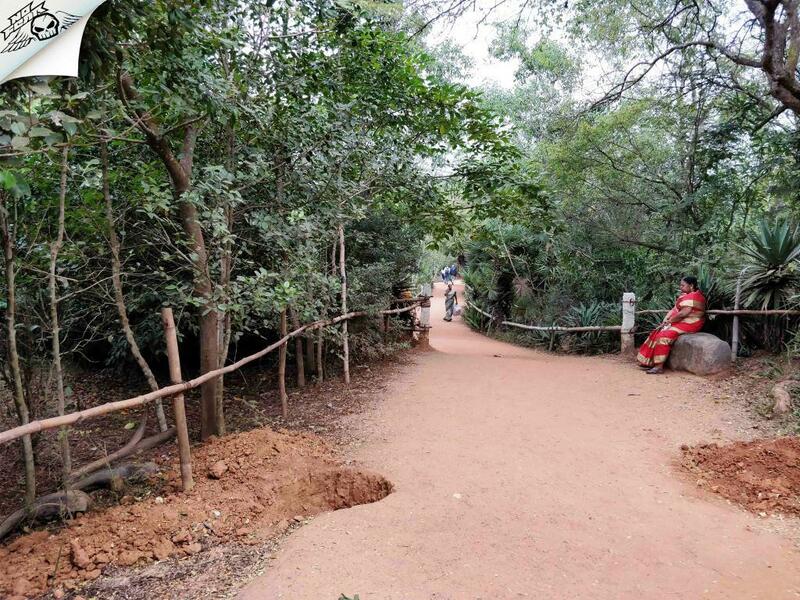 Auroville Beach: Popularly referred to as Auro beach, it is close to the Auroville on the ECR road. There are multiple entry points for this beach. Personally this beach isn't the best which I visited. The sand was contaminated and appeared black in color. The beach wasn't clean either. We had no choice but to take a dip into water as it was already almost sunset time. The beach is actually steep and tides were high. We enjoyed swimming in the ocean and playing with high tides. After having fun and satisfied, we left the place at 6 pm after the sunset. The sand is black here. 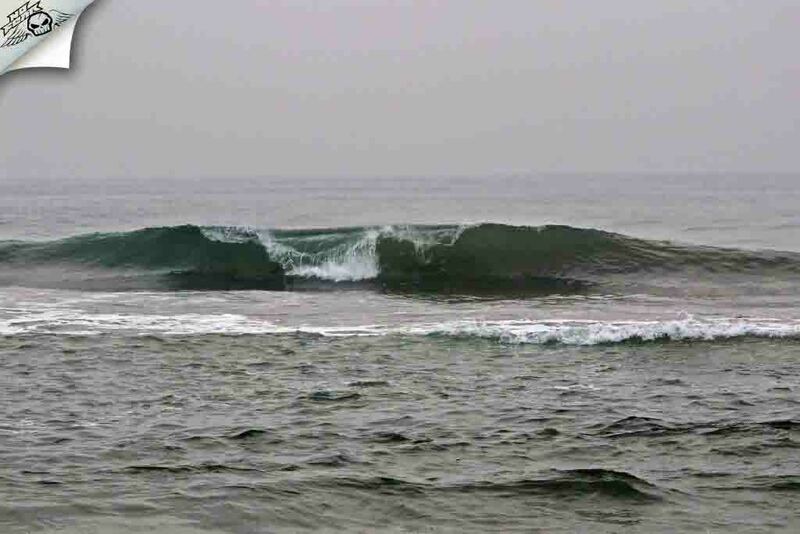 its not a clean beach but safe for getting into water. We came back to the hotel and took a dip. We had a power nap for half an hour before we were set to explore the night life of Pondicherry. 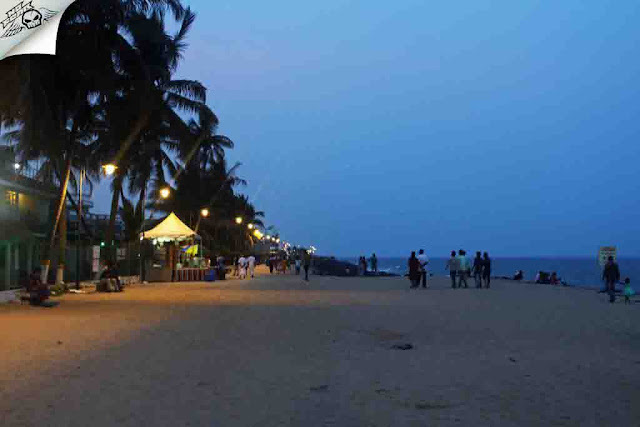 The best place to visit in Pondicherry after sunset is the French colony and the Rock beach. French colony: We walked through the streets named Rue Romain Rolland, Suffren and Dumas. Private homes with white shutters and bright yellow facades adorned with red bougainvillea, and bicycles parked outside, create a very Mediterranean feel. Most of the french homes here are converted either to a hotel or a restaurant. Staying in one of such hotels is a experience of a lifetime. 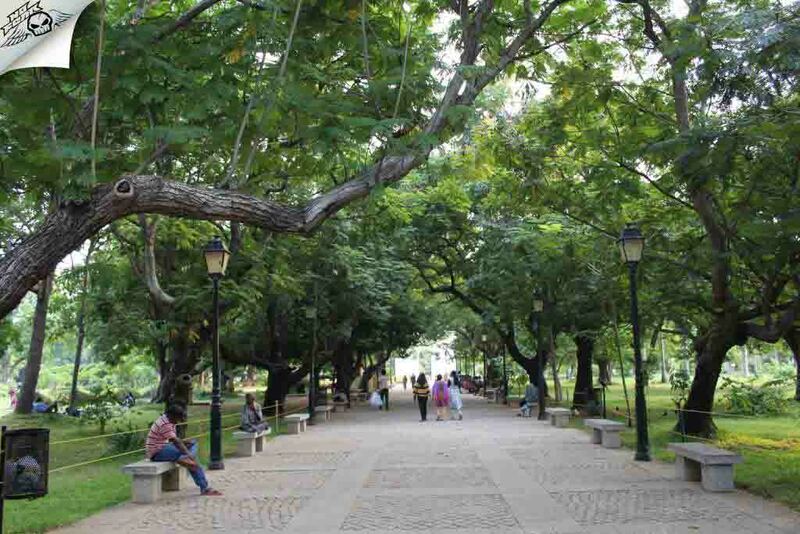 Without any doubt French colony is the most beautiful part of the city. I cannot justify its beauty in words, the place is inexplicable. 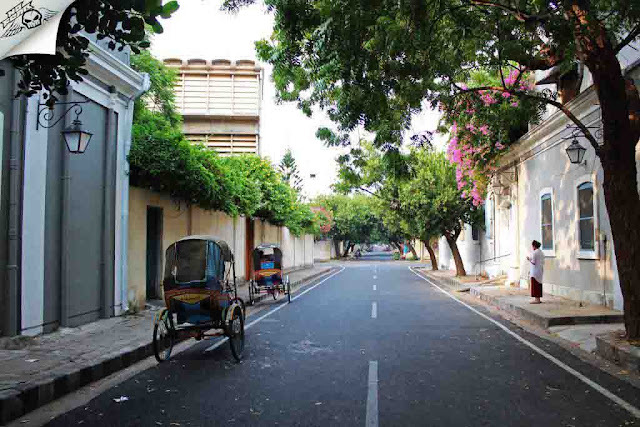 Beautiful street of the French colony. Rock Beach / Promenade beach: There is the Promenade beach right next to the French colony. You can't get into the water on this beach but the walk along side the beach itself is a bliss to live with. Apart from these two things this place is famous for Aurobindo ashram which we explored on the next day so I will cover it later in the post. Vehicle entry is restricted on the beach road after 6 pm to provide a free passage to the tourists so that they can enjoy the walk. Rock beach or Promenade beach is walker’s paradise. With its streets lined up with trees swaying in the sea breeze, the cobbled pavements, pockets of mustard coloured colonial villas and stylish boutiques, you can walk the stretch for hours and not feel tired. 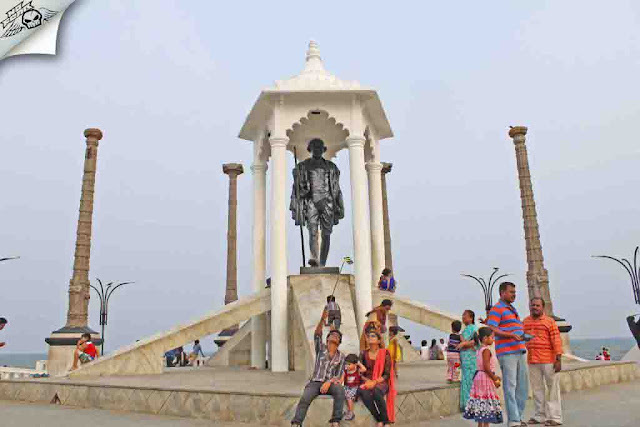 French War memorial and magnificent statue of Mahatma Gandhi are some of the magnificent remnants here. 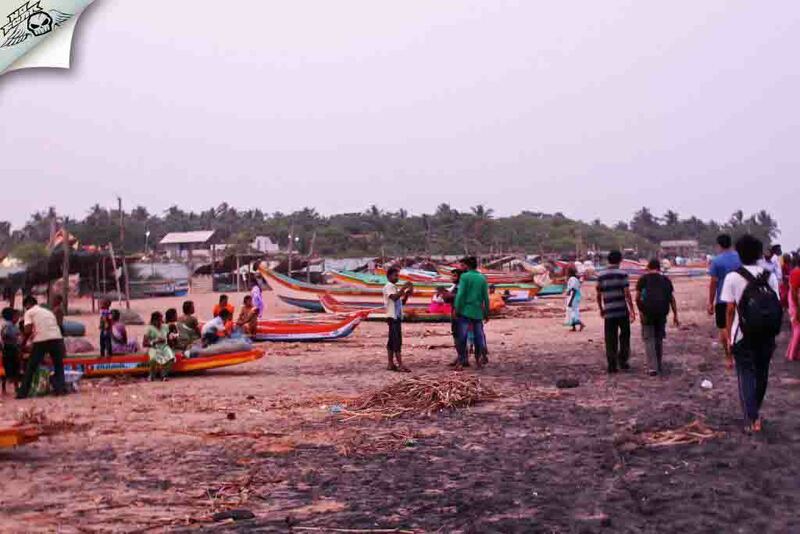 In the evening hundreds of people gather at the beach to spend a peaceful time with friends and family. Apart from the promenade and the beautiful french homes, the place is also home to some of the top restaurants where you can taste the best European cuisine. 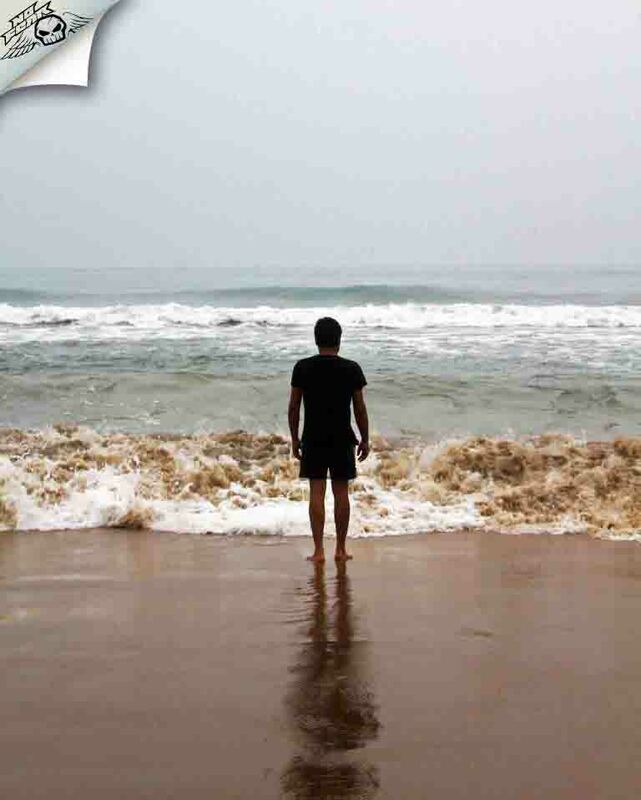 We sat on the beach facing the ocean and listening to the roar of the waves when it hits the shore. 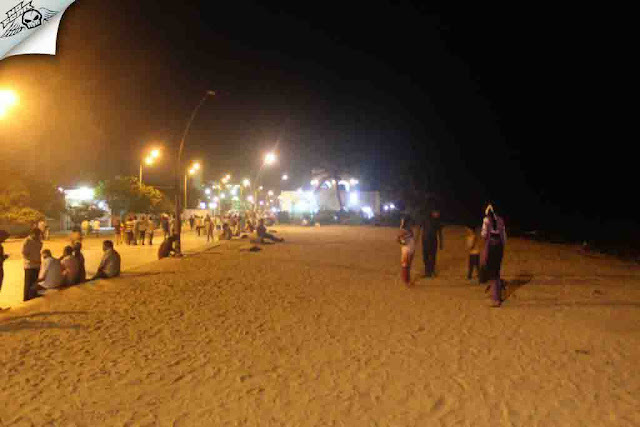 This is probably the best hang out place in Pondicherry at night. After the dinner at A2B restaurant, we headed back to our room at 9 pm. After taking rest for an hour Anand, Mansoor and I decided to visit the Promenade again as we fell in love with the place. The crowd was less at late night, I could hear nothing but the roaring of the ocean and feel the cool breeze of the ocean. 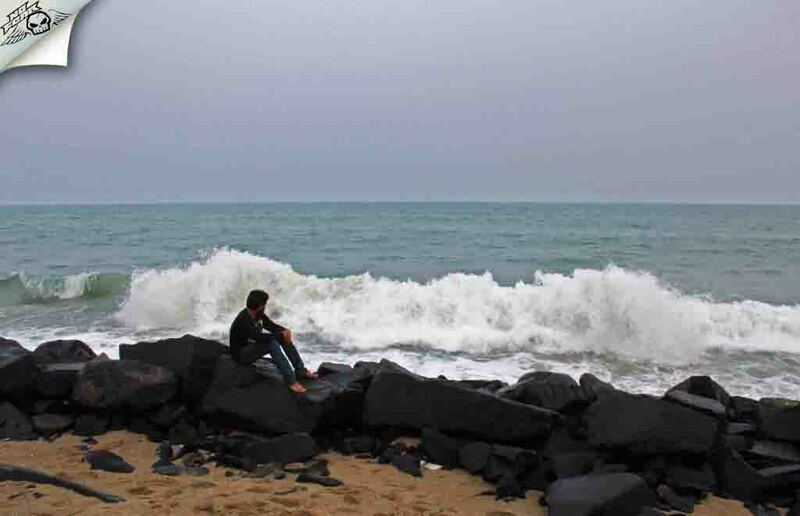 We sat there for more than an hour doing nothing but watch the ocean splashing waves across the rocks. As the time passed, the weather changed drastically and it became too cold. We reached back to the hotel at 11.30 in the night and crashed on the bed. Sunday Morning: We got up at 5.30 in the morning to catch the Sunrise at Paradise beach. We put on the navigation and headed to the Paradise beach. I started Navigation to Paradise beach but the google maps showed the wrong location and we ended up at a secluded beach. We later realized that to reach Paradise beach we have to take a ferry ride from Chunnambar boat house which opens only after 9 am. 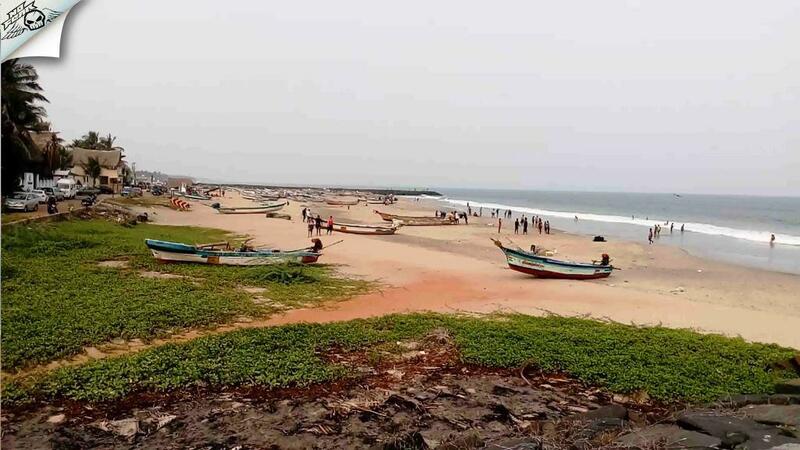 The Veerampattinam beach was beautiful than the one we visited yesterday, the sand was white and clean the beach was not polluted, unlike others. The sky was filled with clouds so we couldn't see the sunrise. 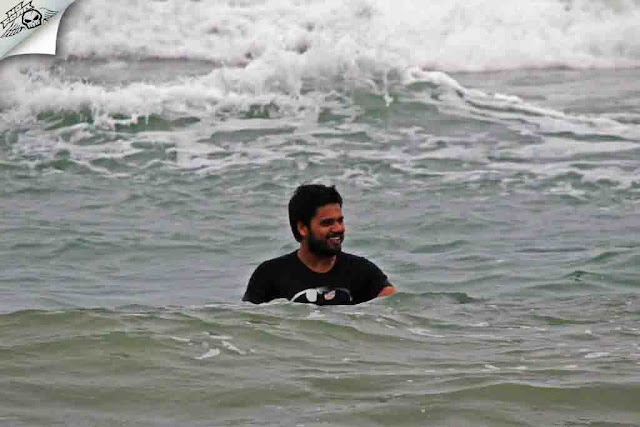 Without wasting any time we took a dip in the water. We were tired after striking in the water so we decided to skip visiting the Paradise beach and we headed back to our room. We took bath followed by complimentary breakfast before checking out from the hotel. We kept our luggage in the luggage room. 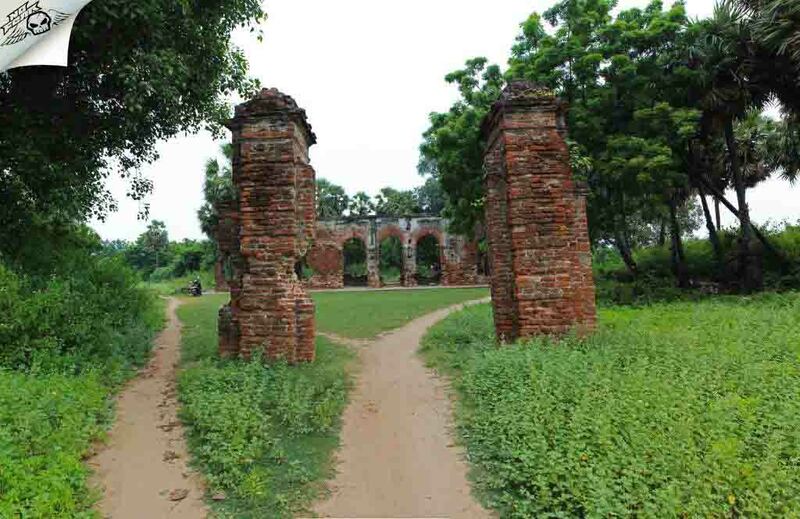 Google guide suggested Arikamedu which is archaeological site currently under ASI (Archaeological Survey of India). Arikamedu was around 10 kilometres from our hotel. We rode through the city traffic. We reached the destination in 20 minutes. Ride to Arikamedu was little odd as the route took us through a dense village and finally through very narrow roads. There were not any sign boards (until the last stretch which was not noticeable) and not many people around. 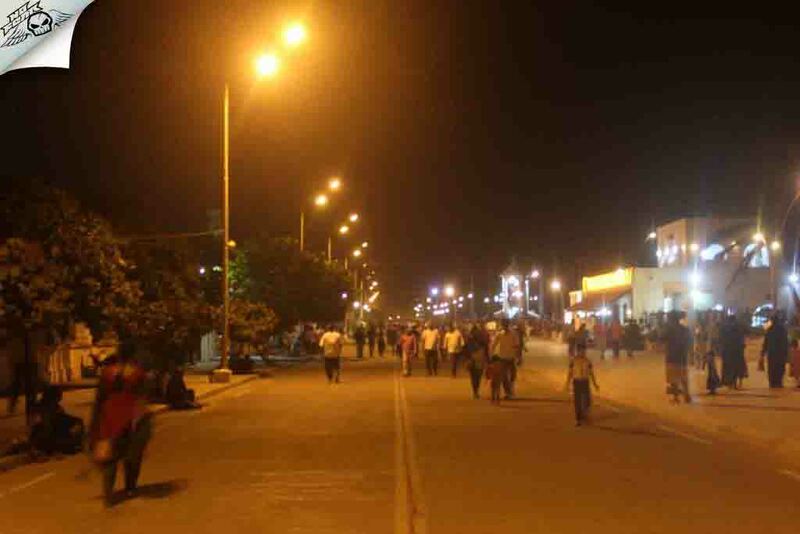 Arikamedu is less popular with the tourists hence it is visited by mostly locals. Arikanedu: Arikamedu has a history that not many are aware of and the significance of the place is not only important for India but ancient Rome (Europe) also. Arikamedu had been inhabited for the last 2000 years, but now only some perpendicular walls from that era exist as the rest has been destroyed beyond the centuries. Several artefacts from Ancient Rome, including sculptures, glassware, lamps and gems, have been discovered in Arikamedu, supporting the belief that it used to be a port for trading between Rome and India. Interestingly Arikamedu was one of the most important and prominent trading ports of India with the Roman Empire dated as early as 2 BC. An extensive excavation was once carried out all over the locality during 1940's but the only remains visible now are the ruins of an old brick structure which is assumed to be that of a warehouse. 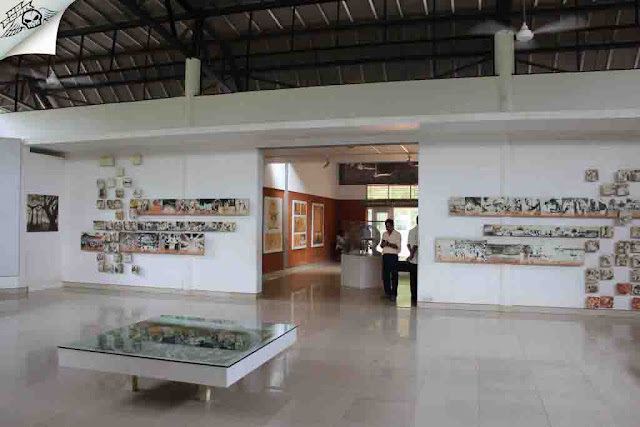 The artefacts which were found during excavation are showcased in Pondicherry Museum. Sadly there are no guides or description boards which explain the history of the place. There is nothing much left at this place except the brick walls which is going to collapse soon if no restoration work is done. Being an avid photographer I loved the patterns of the brick walls which made the photos look great. After spending half an hour for the photoshoot we proceeded to the next destination - French colony. 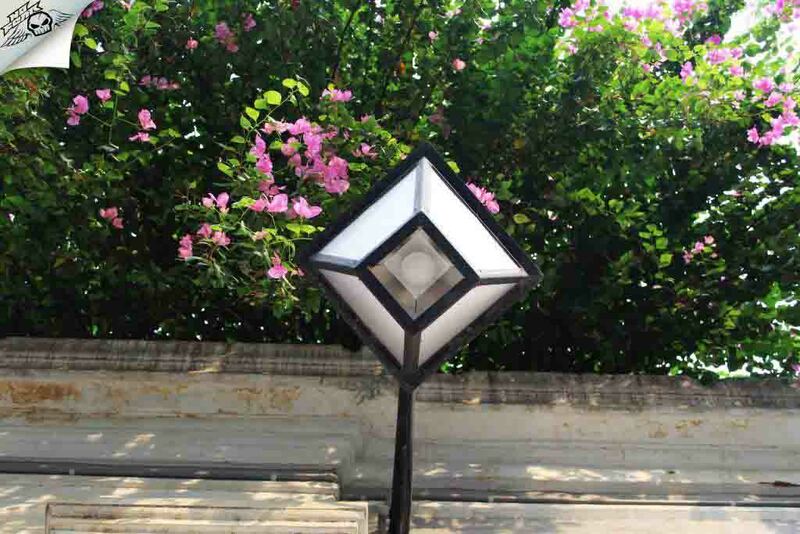 Aurobindo Ashram: We wanted to visit the Aurobindo Ashram next. The Ashram is open for visitors from 10 am to 1 pm and 2 pm to 5 pm. There were many visitors waiting in line to enter the Ashram. We joined the queue. 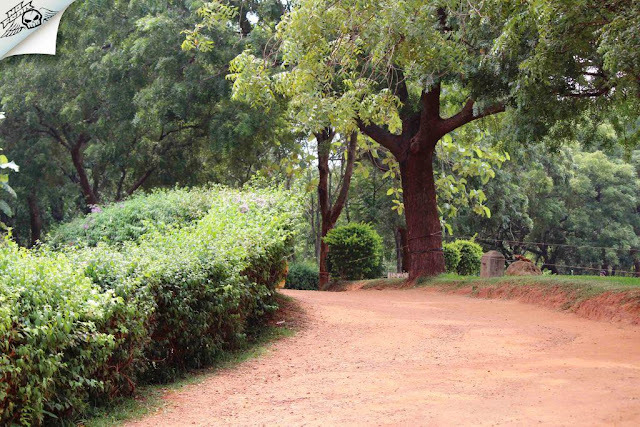 The ashram was founded by Sri Aurobindo in 1926 when he decided to withdraw from public view and continue with his spiritual growth. The place is now visited by thousands of spiritual seekers from all over the world. If inner peace is what you seek, this is where you should be headed. We explored the French colony clicking some amazing pictures. We came back to the hotel, had dinner at hotel restaurant itself. We handed over bike keys to the hotel owner, took our bags and caught an auto to reach the railway station. The train departed on time. 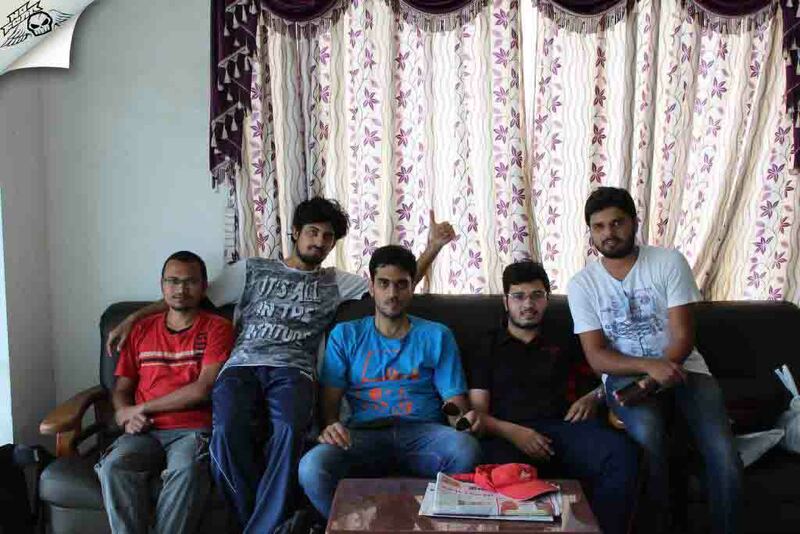 We reached Bangalore at 8 am and proceeded to our respective home. Conclusion: Pondicherry is a charming little place and you can see everything there is to see in Pondicherry in one day. But if you have more time, you can just relax, slow down and find meaning and purpose in the simple things in life. 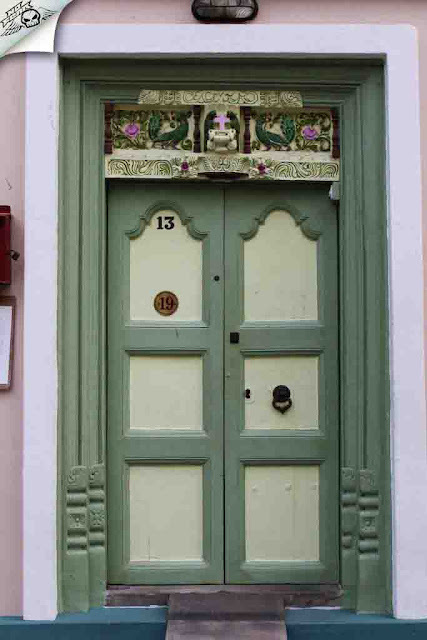 From yoga and meditation to pottery or just sitting by the beach, there are numerous ways to unwind in Pondicherry. 1. Two-wheeler rental near railway station who will give pickup and drop service at no extra cost. You can call 9894172244 who is very good at his service. 2. There are a lot of good restaurants at Pondicherry, do a simple google search if you want to experience the food. 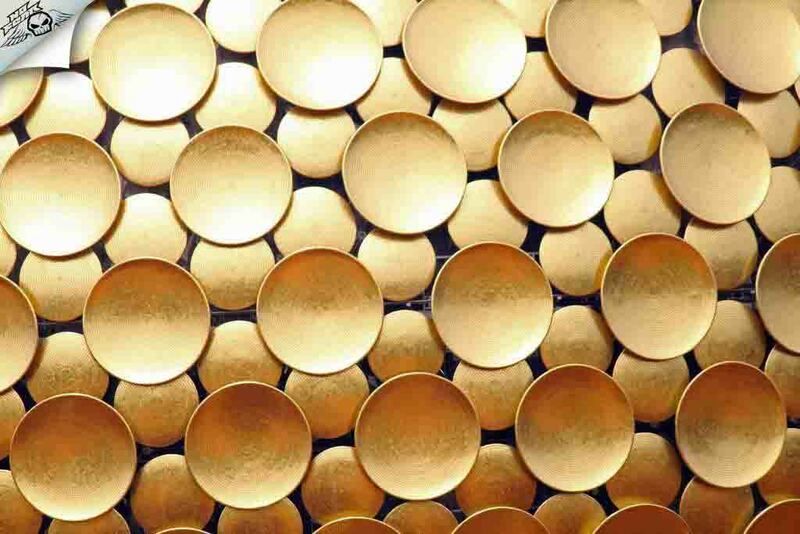 The place looks really fun and worth going :) I love the golden stoned wall. It looks very pretty and surly would want to visit. I am always in search of ways to rejuvenate my spirit within. 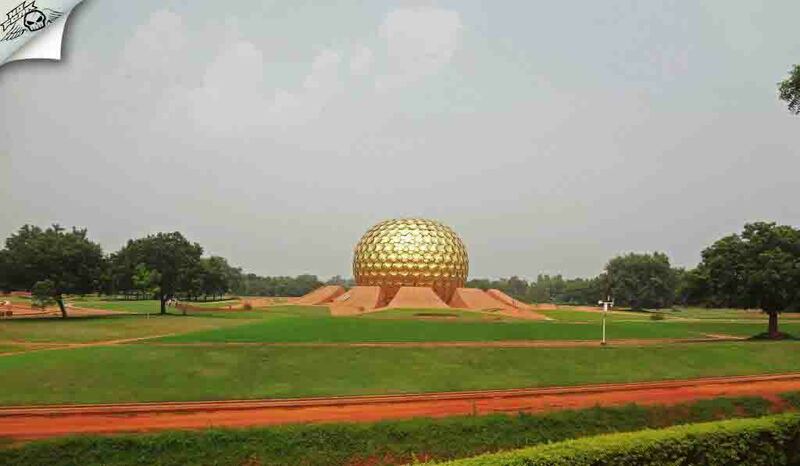 I am surely going to visit MatriMandir when I travel to Pondicherry in future. Besides, your photos are just amazing.